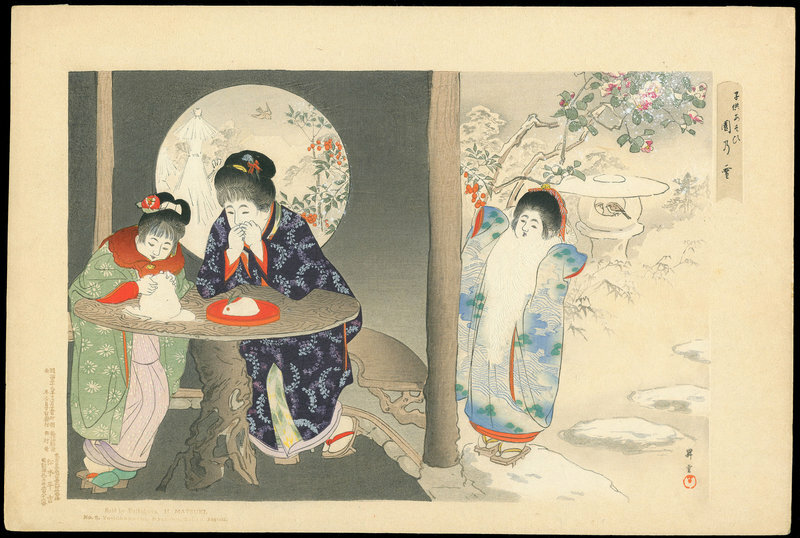 Yamamoto Shoun (1870-1965) "Snow in the Garden" - Woodblock - Chinese and Japanese woodblock prints for sale, silkscreen, scrolls, watercolor, lithographs. Artwork Details for Yamamoto Shoun (1870-1965) "Snow in the Garden"
Condition: Fine. Gorgeous strong embossing and metallic inks used. Remnants of previous tip-mount at verso upper edge.